Never put down the deposit for the Option to Purchase (OTP) before you get in-principle approval from a bank. First, ensure you’ve met the Minimum Occupancy Period (MOP), which is five years unless you’ve had it extended for some reason (e.g. a penalty for an offence). You cannot sell your flat before the MOP is up. 1. Get In-Principle Approval from a bank. This is a document from a bank, usually valid for two weeks, stating how much they will lend you to purchase a house. 2. Pay a non-refundable deposit to the OTP. This is one per cent of the property price. Never put down the deposit before obtaining In-Principle Approval – if you put down a deposit and then fail to secure a loan, the deposit will be forfeit. 3. Within the validity period of the OTP (usually 14 days), you must exercise the Option. You’ll pay an additional four per cent of the property price, and sign the sale and purchase agreement. Note that the deposit for the Option, plus the cost of exercising it, cannot be covered by a bank loan; it must be paid in cash. 4. 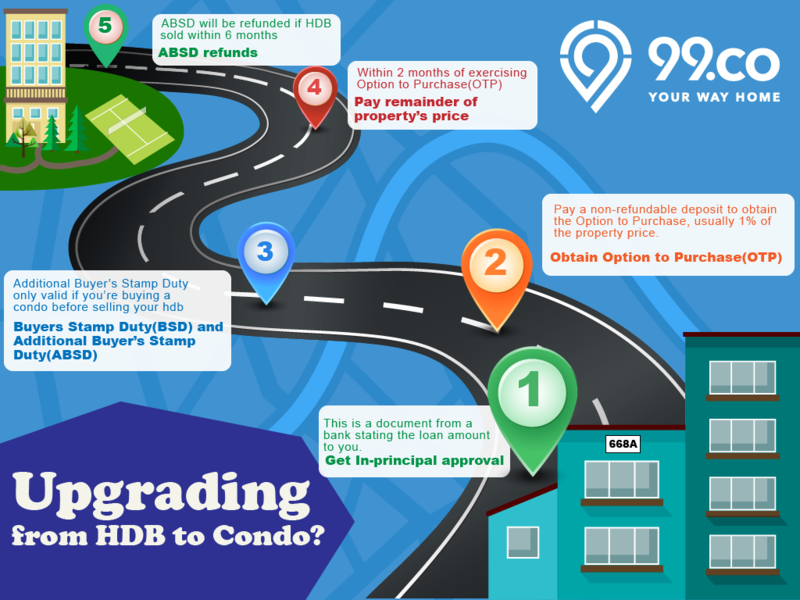 Two weeks after exercising the Option, you have to pay the Buyer’s Stamp Duty (BSD) as well as the ABSD. The BSD is one per cent of the first $180,000 of your property price, two per cent of the next $180,000, and three per cent of remaining amount. 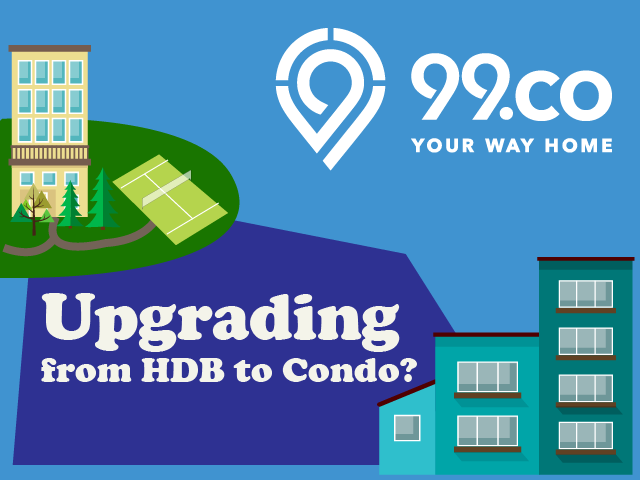 The ABSD is seven per cent of the property price for Singapore citizens, and 10 per cent for Singapore Permanent Residents. 5. Within two months of exercising the Option, you must pay the remainder of the property price. Note that the highest possible Loan-to-Value (LTV) ratio is 80 per cent (i.e. the bank can loan you up to 80 per cent of the property price or value, whichever is lower). Besides the bank loan, you would have paid five per cent of the property price by this point (during the purchase and exercise of the OTP). For the remaining 15 per cent, the money can come from a combination of cash or your CPF Ordinary Account (CPF OA) monies. 6. If you sell your flat within six months, apply to IRAS for a refund of the ABSD once the sale is transacted. Note that there is no reimbursement if you take longer than six months to sell your flat. Pay the remaining property price within two months of exercising the OTP.